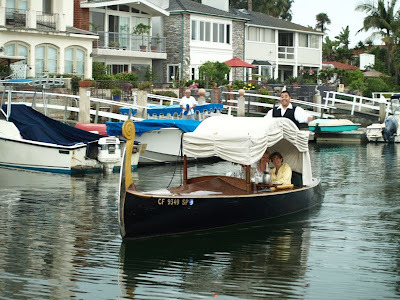 Joey has been a gondolier with my Newport Beach operation longer than any other. I even performed his wedding a few years back. Joey has always been one to ham it up and have fun. Hanging around after cruises and laughing about crazy things we've done is always a fun pastime. 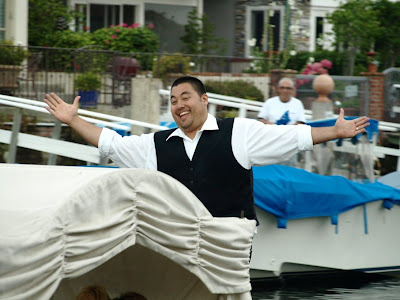 When he first started with us, Joey was known to tap dance on the back of his gondola. Pull out a camera and you're sure to discover his hammy side. Here are some shots I took a few days ago while Joey was driving the Cassandra Anne.